The Vibrators headline a show Wednesday in Spokane. COMMUNITY | Talk about a perfect day to consider what you can do to further the American Dream for someone. Learn how to be a foster family for unaccompanied refugee children coming to the states from some horrific conflicts and strife around the globe at an info session hosted by Lutheran Community Services. 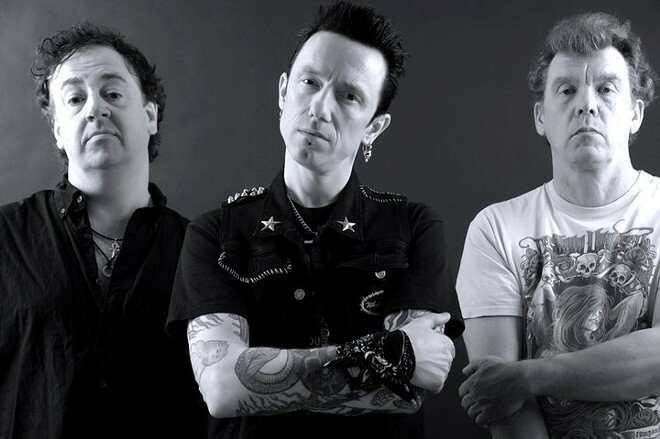 MUSIC | Old-school punks The Vibrators return to Spokane for a gig at the Pin! Put on your moshing shoes, people! BENEFIT | The one and only Ed Asner, one of the great TV actors of all time (Lou Grant, The Mary Tyler Moore Show), swings by Coeur d'Alene for a one-night-only performance in God Help Us!, a politically charged show benefitting the Coeur d'Alene Summer Theater. COMEDY | You might be a bored Spokanite if... you hit Jeff Foxworthy at the county fair tonight. VISUAL ARTS | The Washington Cracker Co. Building is hosting a one-night-only showcase of local artists' work designed to turn our eyes to some of the community's most vulnerable neighbors. Eye Contact: Homeless Art Exhibit and Fundraiser will support the work of Volunteers of America in Spokane. COMEDY | Anthony Jeselnik might just be the devil incarnate, at least if you believe his comedic persona to be the real thing. I do not, but I'm willing to risk some hang time with Satan to hear Jeselnik's hilarious standup, this time at the Bing. THEATER | The Spokane Civic Theatre kicks off its new season with Mary Poppins. Look out for our story about the show in our next issue. COMMUNITY | An excellent opportunity to lend a hand taking care of our sweet river is here once again with the Spokane River Cleanup. There's always room for more volunteers to join the 600 or so folks who have joined up to do the work in the past. FASHION | Runway Renegades is back, and the annual fashion show is once again showcasing six local designers, who take on local underserved youth to help them come up with the looks for the show. Watch for a story on this year's designers in the next issue of the Inlander.